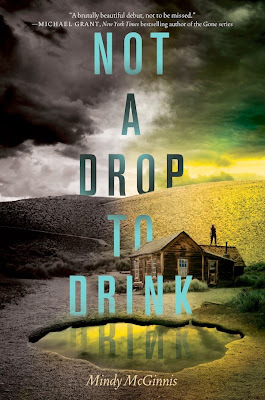 My pick is Not a Drop to Drink by Mindy McGinnis! Eep, I'm so excited about this one! I've already preordered it - just one more month till it comes out. It's hard to find original dystopian/post-apocalyptic books, but this one definitely sounds unique. And early reviews for it have been great. Plus, Michael Grant blurbed it. Um, I don't know about ya'll, but if Michael Grant likes it, then that's enough to get me interested. Can't wait! What are you waiting on this week? Leave a comment with a link to your WoW so I can check it out! Unique concept? Michael Grant blurbed it?! I think I need this book. Awesome pick!